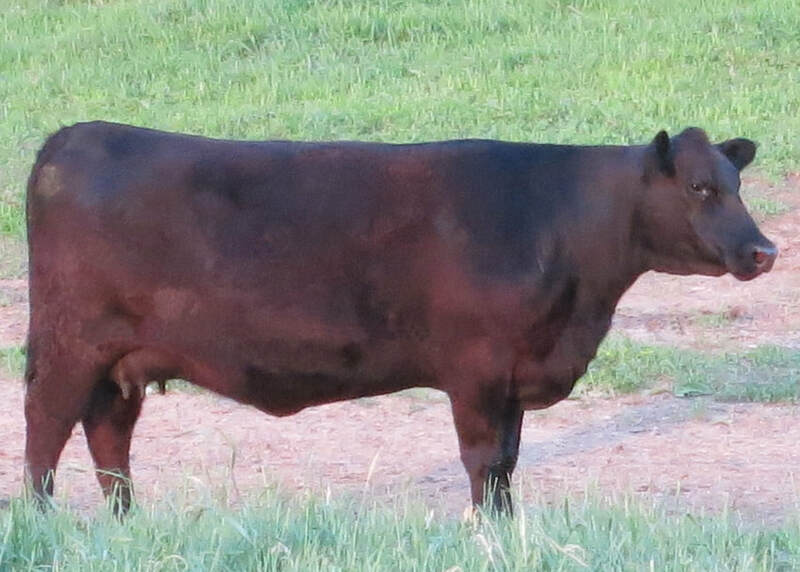 Lena's Dam is a very fancy Final Answer daughter that passes on this cow family's thick made, clean fronted profile to all of her daughters. 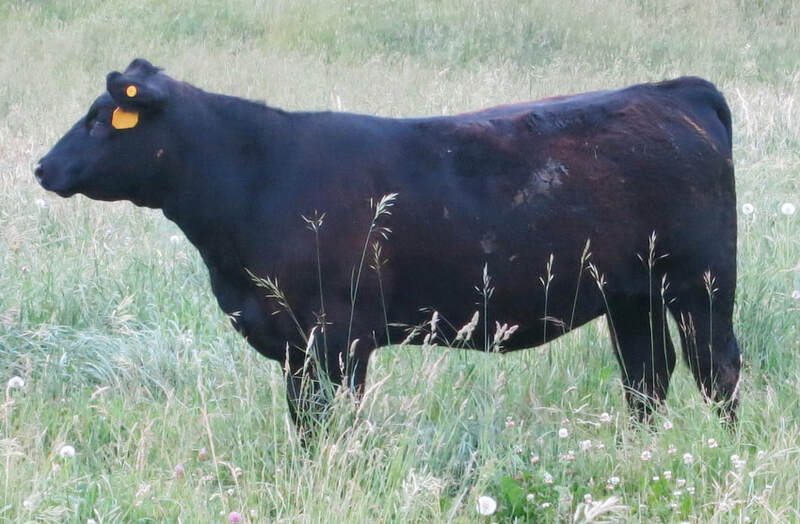 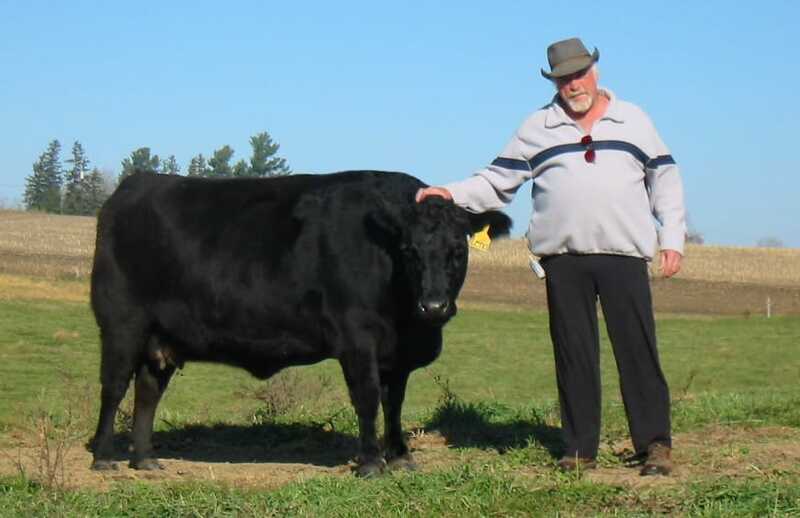 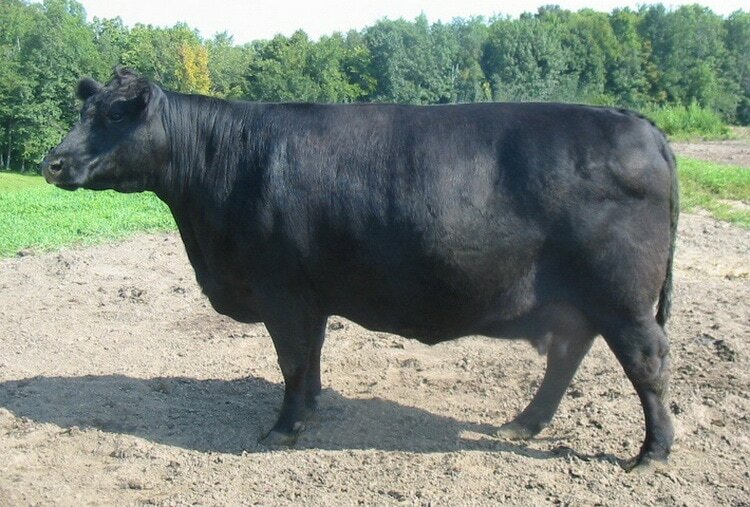 Lena's Great Grand Dam, Black Ace Lena 25, we purchased from White Ranch (well known Club Calf producer) in 2001 and she remained a very docile and productive member of our herd until 2013 ( age 12 ) when a hip injury forced us to let her go. 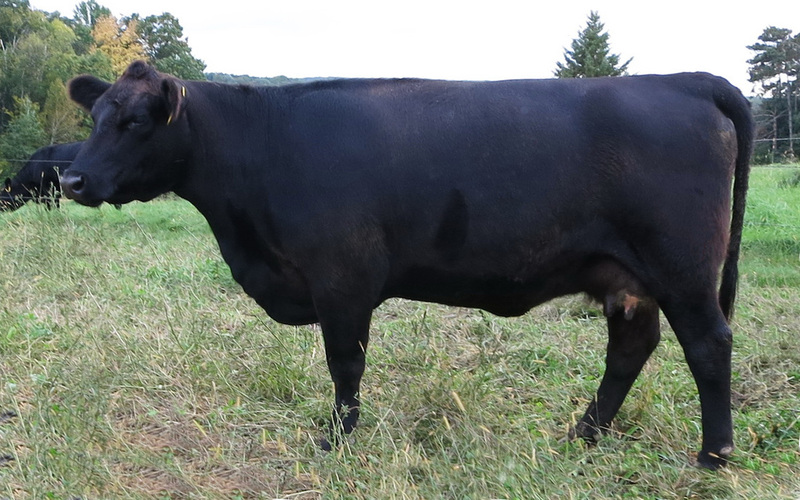 You will appreciate what this cow family's built-to-last feet & legs and udder quality will add to the longevity of progeny in your program. 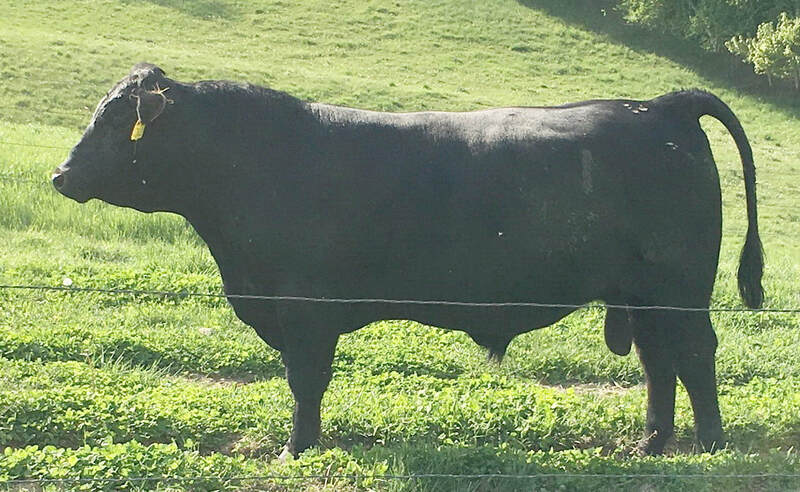 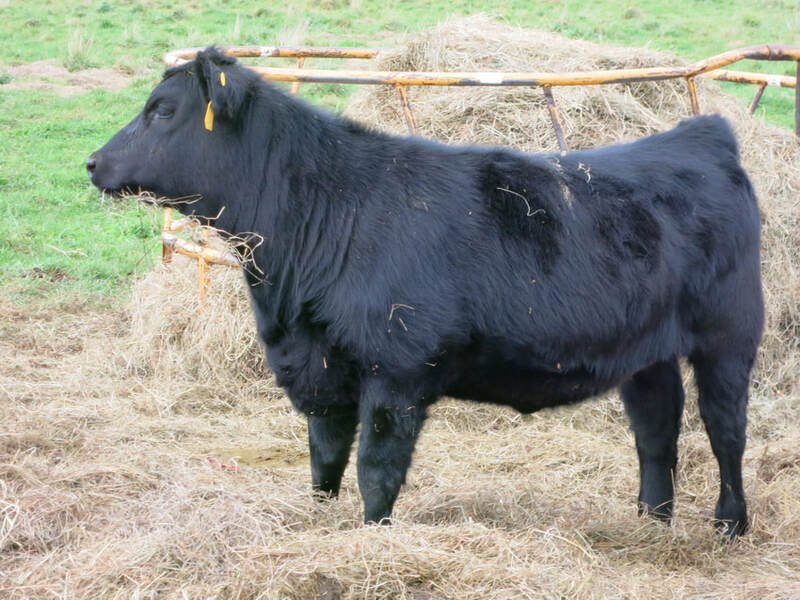 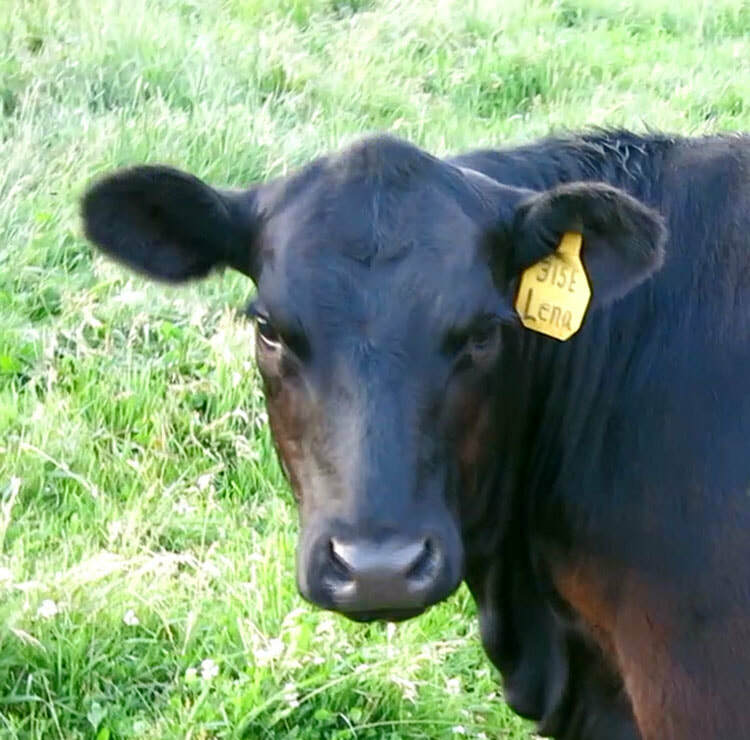 GREAT GRAND DAM: Black Ace Lena as a 2 year old. 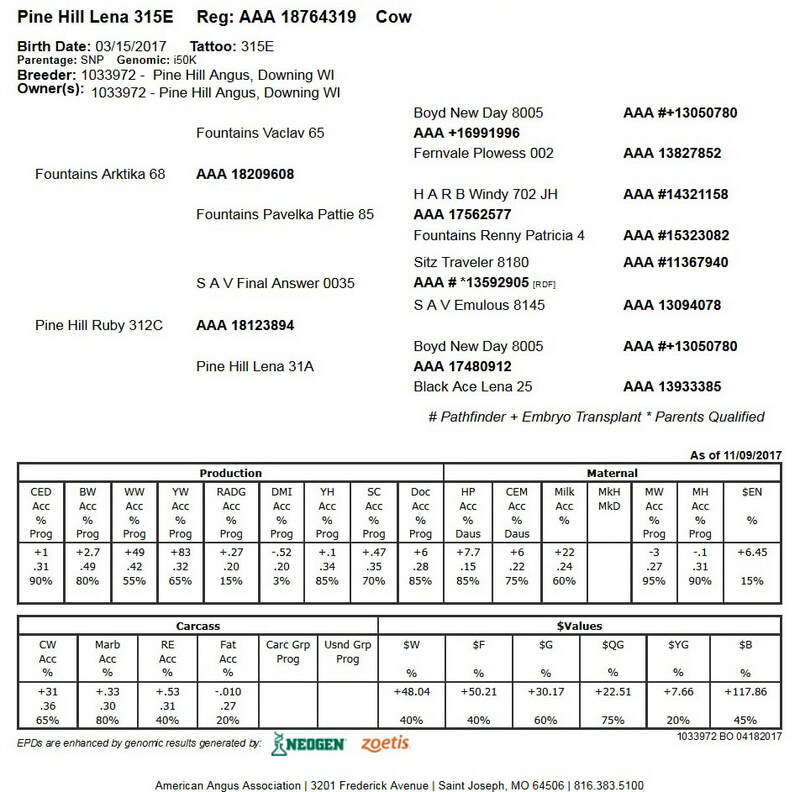 His "out-cross" pedigree is stacked with A.I. 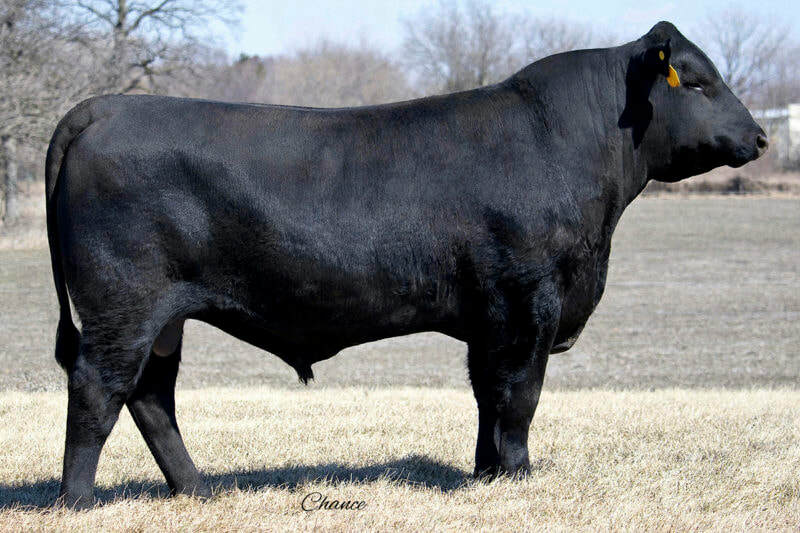 Sires and a maternal legacy tracing back through four generations of Fountain Farms "Patricia" cow family..
Click Here for more info on this Sire.